Do you want to remove skin blemishes, scars or acne from your portraits? Some photography clients have a beauty spot that they don’t like, or some blemishes on their skin that they want removed from their portrait. 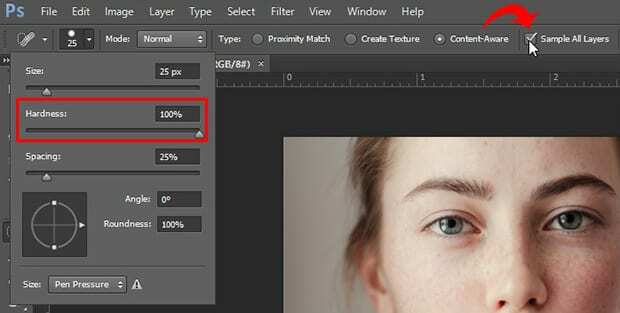 In this article, we will show you how to remove skin blemishes in Photoshop. There are several different tools you can use to remove spots, scars, or blemishes from the face. For this tutorial, we will work with the Spot Healing Brush Tool, the Healing Brush Tool, and the Patch Tool. The Spot Healing Brush is the best tool to use when you need to remove a small, circular blemish (like a pimple or a mole). The first thing you need to do is open your portrait in Photoshop. 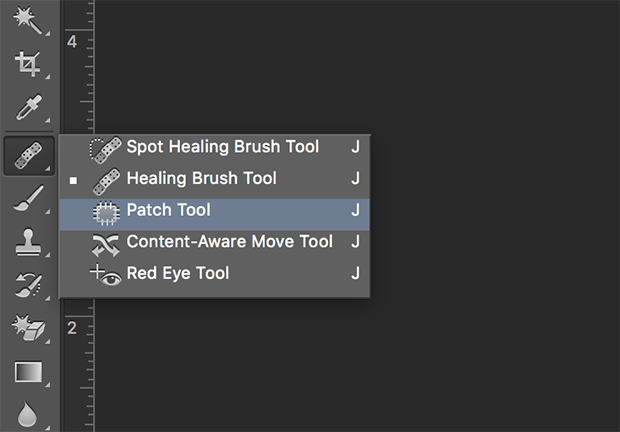 Lets start by selecting the Spot Healing Brush Tool from the toolbar on the left-hand side of your Photoshop screen. Set the hardness of your brush to 100% and check mark the “Sample All Layers” option. Before moving forward, you need to add a new transparent layer. This way, you can always go back to your original image if you make a mistake. To add a new layer, you can go to Layer » New » Layer. Now you can see how the Spot Healing Brush fixed the acne spots on the face of this subject. 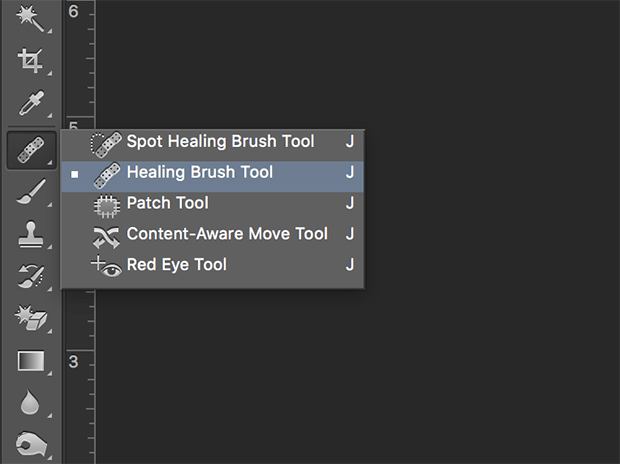 If the Spot Healing Brush isn’t working the way it should, try using the Healing Brush Tool (it can be selected from the same toolset). With this tool, you can press Alt + Click on a good area of the skin. Then, when you use the tool on the blemished area, it will fill that area with the good area that you picked. This gives you a bit more control over how you would like the tool to correct the blemish. If you are dealing with a larger, non-circular area, such as a scar or a birth mark, use the Patch Tool. First press Ctrl + Alt + Shift + E to create a merged layer (this is needed for the Patch Tool to work properly). Then, use the Patch Tool to select the area on the skin where you want to remove the blemish. Once selected, click inside the selected area and drag your mouse outside of the area. When you do this, you will see the area fill in with a patch of the surrounding skin. When you are happy with how it looks, simply release the mouse. That’s all. You can see the before and after of the portrait below. We hope this tutorial has helped you to learn how to remove blemishes from your portraits in Photoshop using the Spot Healing Brush, the Healing Brush and the Patch Tool. 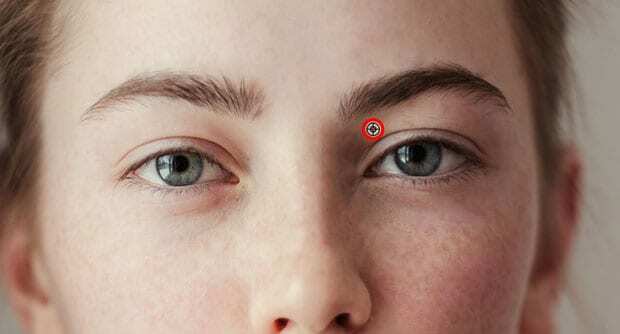 You may also want to check out our guide on how to make eyes pop using Photoshop. If you liked this article, then please follow us on Facebook and Twitter for more free photo editing tutorials.